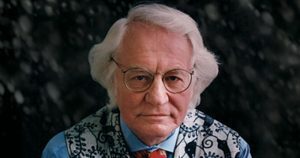 Our final poetry news of the week takes a look at the poet Robert Bly, as his latest book is celebrated. We also have an article about the actor Sylvester Stallone who is working on a script for a play about Edgar Allen Poe. Bly has been writing poetry for over 60 years, he has published 14 books of his own poetry and several books of translations. For many Americans, he is the poet they grew up with in the classroom. He was also the first poet laureate of Minnesota. This latest book gathers together works from all of the poet’s previous books. Its 576 pages contain some of his best and most popular poems. 11th February will see a selection of the poets family members friends and his fellow poets congregating at Plymouth Congregational Church, in order to not only celebrate the book, but also the poet himself. There will also be plenty of poetry readings from the book. Some of these will be conducted by Mark Gustafson, Bly’s biographer, the poet Freda Manfred, and a number of other local poets. Bly was not only born in Minnesota, but apart from a few years spent serving in the Navy has never left. At 92 however, he doesn’t get out and about as much as he would like so is unlikely to be at the event. Plymouth Congregational Church was the location of the last public reading that Bly gave in 2015. The world of movies is a busy one, with projects always on the go, sometimes pushed aside for others that promise to be more popular. The actor Sylvester Stallone has one such project, a script that he has been working on for four decades. 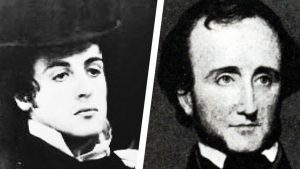 Stallone is working on a biopic about the life of the late Edgar Allen Poe, and in a short Instagram video earlier this month the actor confirmed that he feels this is something he believes he must finish, no matter how long it takes. Stallone has been sharing more about his latest project in the last six months. In September, he posted a photo on social media of himself dressed as the poet. At one time, he said he had really wanted to play the poet in a film, but he had realised that he really just wasn’t the person for the part, the costume is all that remains of this particular ambition. He certainly isn’t ruling out the option of one day directing a film about him.